On Saturday 27th May 2017, 6 cadets from 84 (Coventry Airport) Squadron were taken to RAF Cosford for a day at No 8 Air Experience Flying School (AEF). For some, this was their first opportunity to get up in the air and they put together a quick guide to their day. Step 1: Getting There. Travel to RAF Cosford was provided, very kindly, by 29F (Rugby) Squadron who picked up the cadets and accompanying staff early on the Saturday morning but just as they departed there was a loud thunder clap throwing doubt on the ability to get up in the air but luckily the weather held off and didn't impede their activity. Step 3: Getting Fitted with Kit. 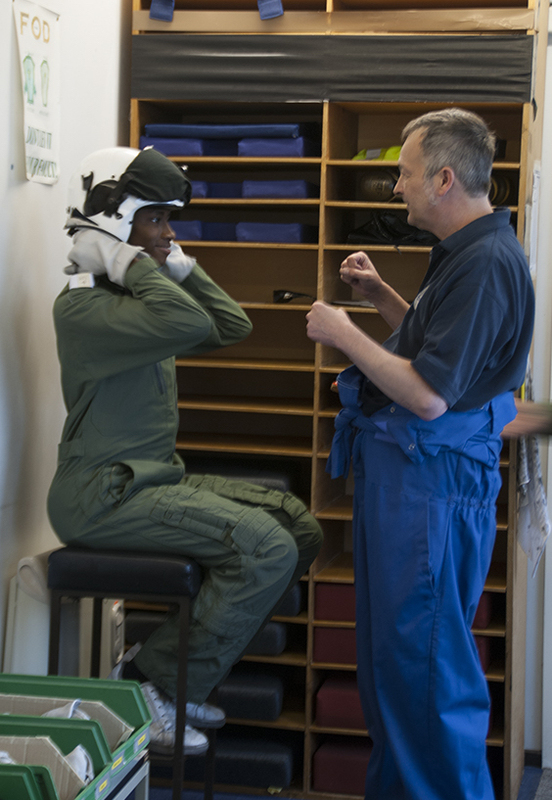 Each cadet is then taken through to the kitting room where they are fitted with a flying suit, parachute, helmet and gloves and they await the call for their flight. Step 4: Crossing the Apron. 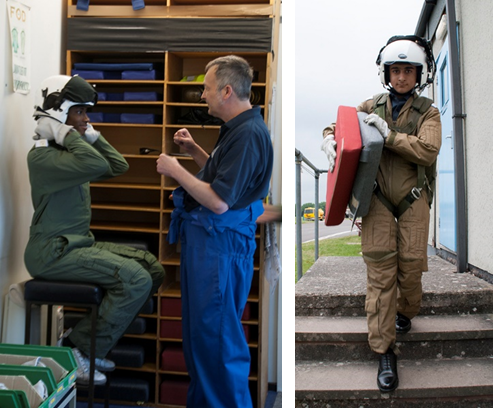 When the aircraft and pilots are ready, cadets are lead out across the parking area to get fitted into the aircraft alongside their instructor pilots. 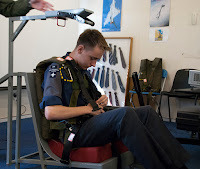 Some cadets need additional padding to make sure they are fitted correctly! Step 5: Taxi and Take-Off. Once all the checks have been done, the canopy is closed and the pilot can begin to taxi towards the main runway where they can start the take-off procedures. Up in the air, the cadets are taught basic handling techniques, taking control themselves to feel the effect of the control column before handing back to the pilot who may demonstrate a few aerobatic manoeuvres depending on the weather. Step 6: Coming back in to Land. Back on solid ground the cadets head back to the waiting area with huge smiles on their faces and lots of fantastic memories of their time up in the air. All six cadets had such an amazing day with those completing their first flight receiving a certificate for their achievements. 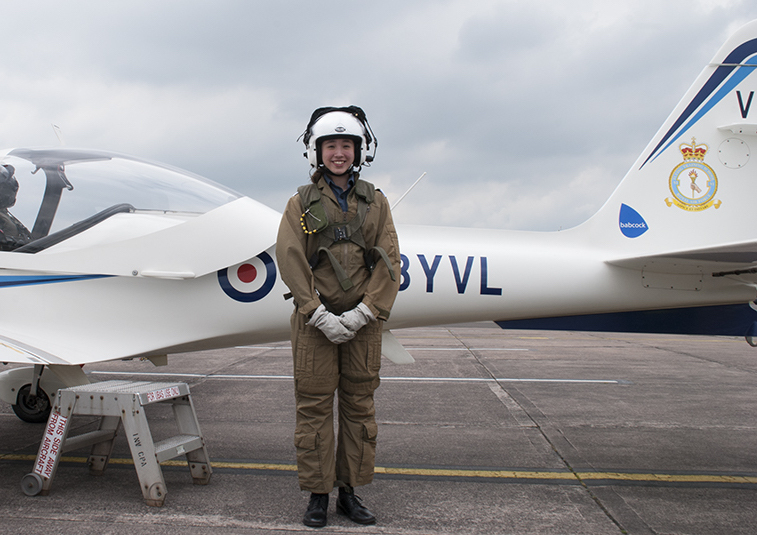 They all learnt new skills, developed their cadet experience further and made new friends from the other squadrons who where there. 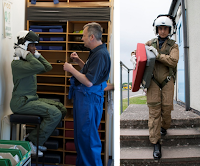 Thanks for Civilian Instructor Mr Dan Saxton who accompanied the cadets for the day and took all the photographs - for more images, please check out the Squadron Facebook Page.